A title is the foundation of property ownership. It is the owner's right to possess and use the property. Transferring the title to real estate is different from transferring the title to other items because land is permanent and can have many owners over the years. Various rights in land (such as mineral, air or utility rights) may have been acquired by others by the time you come into possession of it, even if the land has never before been built upon. To transfer a clear title to a piece of land, it is first necessary to determine whether any rights are outstanding. Title insurance is your policy of protection against loss if any of these problems - even a "hidden hazard" - results in a claim against your ownership. It offers financial protection against paying claims and legal fees involved in defending the title should a dispute arise. Whether you are purchasing a home from a current occupant or building a new home yourself, you will need to ensure that there are no unpaid taxes, debts or liens associated with the property. While there are no past owners associated with newly constructed homes, there may be other owners of the land on which the home is being built. A title search will uncover any existing liens or ownership claims as well as any unpaid debts of the contractor that is building your home - debts that you could be held responsible for unless you are protected. 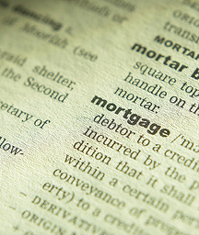 There are two types of title insurance: lender's title insurance and owner's title insurance. All lenders require title insurance (also known as a loan policy) to protect the loan they issue the buyer against the cost of settling any disputes that may arise. The cost of lender's title insurance is usually based on the amount of your loan and decreases each year over the life of the loan. The lender's title insurance does not protect the buyer's interests. The buyer should obtain an owner's title policy, which protects him or her against any problems that were not uncovered in the title search. Owner's title insurance is usually issued in the amount of the real estate purchase and lasts as long as the owner maintains a financial interest in the property. Both the lender's and the buyer's policies are typically issued together as soon as a title search is performed and any problems are resolved. A deed is not necessarily proof of ownership. A deed is just a document by which the right of ownership in land is transferred, whatever that right may be. It's not proof of ownership, and it doesn't do away with rights others may have in the property. In addition, a deed won't show you liens or claims that may be outstanding against the title. An abstract is a history of the property title as revealed by the public records. It may not show property limitations and restrictions. Abstracts may contain errors and do not disclose "hidden hazards" that can threaten your property title if you do not have a title insurance policy. Title Insurance: A Comprehensive Overview.